Bend is a city in, and the county seat of, Deschutes County, Oregon, United States. It is the principal city of the Bend, Oregon Metropolitan Statistical Area. Bend is Central Oregon's largest city, and despite its modest size, is the de facto metropolis of the region, owing to the low population density of that area. Bend recorded a population of 76,693 at the time of the 2010 U.S. Census, up from 52,029 at the 2000 census. The estimated population of the city as of 2013 is 81,236. Bend's metro population was estimated at 165,954 as of July 1, 2013. The Bend MSA is the fifth largest metropolitan area in Oregon. 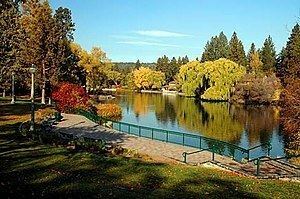 Bend is located on the eastern edge of the Cascade Range along the Deschutes River. Here the Ponderosa Pine forest transitions into the high desert, characterized by arid land, junipers, sagebrush, and bitter-brush. Originally a crossing point on the river, settlement began in the early 1900s. 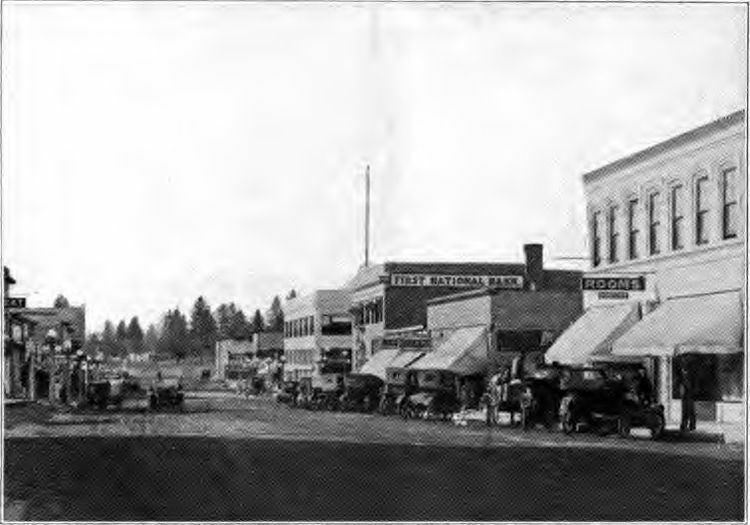 Bend was incorporated as a city in 1905. Economically, it started as a logging town but is now identified as a gateway for many outdoor sports, including mountain biking, fishing, hiking, camping, rock climbing, white-water rafting, skiing, paragliding, helicopter tours and golf. In 2015, Men's Journal ranked Bend as one of The 10 Best Places to Live Now. The name Bend was derived from "Farewell Bend", the designation used by early pioneers to refer to the location along the Deschutes River where the town was eventually platted, one of the few fordable points along the river. Until the winter of 1824, the Bend area was known only to Native Americans who hunted and fished there. That year, members of a fur trapping party led by Peter Skene Ogden visited the area. John C. Frémont, John Strong Newberry, and other Army survey parties came next. Then pioneers heading farther west passed through the area and forded the Deschutes River at Farewell Bend. 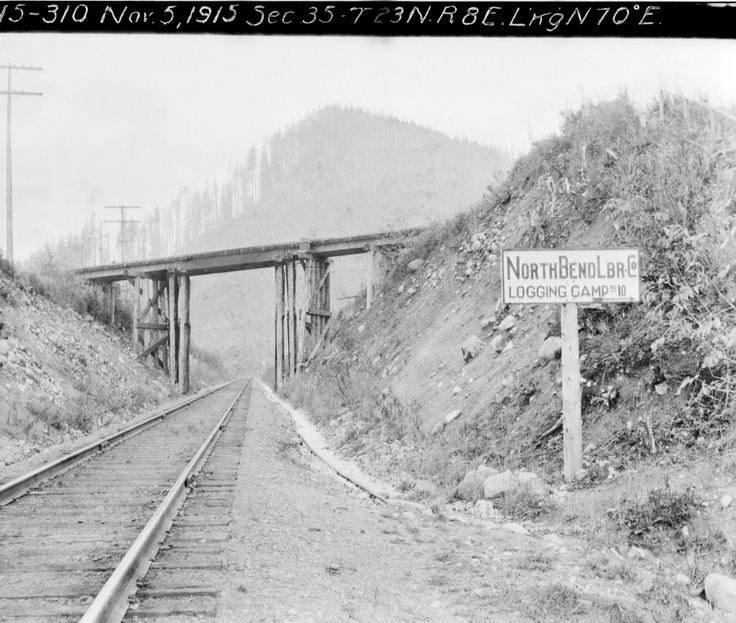 Constructed in May 1901, the Pilot Butte Development Company's little plant was the first commercial sawmill in Bend. The original location was at the rear of the Pilot Butte Inn of later years. Steidl and Reed also set up a small mill in Bend in 1903. This was on the Deschutes River just below the Pioneer Park area. The mill was operated by water power. A small community developed around the area, and in 1904, a city was incorporated by a general vote of the community's 300 residents. On January 4, 1905, the city held its first official meeting as an incorporated municipality, appointing A. H. Goodwillie as the first mayor. The settlement was originally called "Farewell Bend", which was later shortened to "Bend" by the U.S. Postal Service. In 1910, Mirror Pond was created by the construction of the Bend Water, Light & Power Company dam on the Deschutes River in Bend. The dam provided the city with its initial source of electricity. The dam has been owned by Pacific Power since 1926 and still produces electricity that supplies approximately 200 Bend households. In 1916, Deschutes County, Oregon was formed from the western half of Crook County and Bend was designated as the county seat. In 1929, Bend amended the charter and adopted the council-manager form of government. Bend sits on the boundary of the Eastern Cascades Slopes and Foothills, a Level III ecoregion designated by the United States Environmental Protection Agency (EPA) in the U.S. states of Oregon, Washington, and California, and the Deschutes River Valley, a Level IV ecoregion within the Blue Mountains Level III ecoregion. The Deschutes River runs though Bend, where it is dammed to form Mirror Pond. Bend's elevation is 3,623 feet (1,104 m). According to the United States Census Bureau, the city has a total area of 33.27 square miles (86.17 km2), of which, 33.01 square miles (85.50 km2) is land and 0.26 square miles (0.67 km2) is water. Inside the city limits is Pilot Butte State Scenic Viewpoint, an old cinder cone. Bend is one of three cities in the continental U.S. (with Portland, Oregon and Jackson, Mississippi) to have an extinct volcano within its city limits. It is reached by U.S. Route 20. A lesser known characteristic of Bend, the Horse Lava Tube System enters and borders the eastern edge of the city. Just south of Bend is Newberry National Volcanic Monument on U.S. Route 97. Bend's climate is typical of the high desert with cool nights and sunny days, classified as semi-arid (Köppen BSk). Annual precipitation averages 11.2 in (280 mm), with an annual average snowfall of 23.8 inches (60.5 cm). The winter season in Bend provides a mean temperature of 31.1 °F (−0.5 °C) in December. Nighttime temperatures are not much lower than daytime highs during the winter. According to the USDA Plant Hardiness Zone Map, annually, the lowest nighttime temperature is typically −5 °F (−21 °C) to −10 °F (−23 °C). Central Oregon summers are marked by their very large diurnal temperature ranges, with a July daily average of 64.5 °F (18.1 °C), and an average diurnal temperature variation approaching 35 °F (19 °C). Hard frosts are not unheard of during the summer months. Autumn usually brings warm, dry days and cooler nights, and Bend is known for its annual Indian summer. Bend's growing season is short; according to the U.S. Department of Agriculture's National Resources Conservation Service, in half of the years between 1971 and 2000, the USDA weather station in Bend recorded the last below-freezing temperatures after July 3 and the first below-freezing temperatures before August 31. Based on 1981–2010 normals, the average window for freezing temperatures is September 13 through June 19. Bend is the larger principal city of the Bend-Prineville CSA, a Combined Statistical Area that includes the Bend metropolitan area (Deschutes County) and the Prineville micropolitan area (Crook County), which had a combined estimated population of 216,310 by the United States Census Bureau in 2008. As of the census of 2010, there were 76,639 people, 31,790 households, and 19,779 families residing in the city. The population density was 2,321.7 inhabitants per square mile (896.4/km2). There were 36,110 housing units at an average density of 1,093.9 per square mile (422.4/km2). The racial makeup of the city was 91.3% White, 0.5% African American, 0.8% Native American, 1.2% Asian, 0.1% Pacific Islander, 3.4% from other races, and 2.6% from two or more races. Hispanic or Latino of any race were 8.2% of the population. There were 31,790 households of which 31.7% had children under the age of 18 living with them, 47.9% were married couples living together, 9.9% had a female householder with no husband present, 4.4% had a male householder with no wife present, and 37.8% were non-families. 27.1% of all households were made up of individuals and 9.1% had someone living alone who was 65 years of age or older. The average household size was 2.39 and the average family size was 2.91. The median age in the city was 36.6 years. 23.7% of residents were under the age of 18; 8.7% were between the ages of 18 and 24; 30% were from 25 to 44; 25.1% were from 45 to 64; and 12.4% were 65 years of age or older. The gender makeup of the city was 49.0% male and 51.0% female. As of the census of 2000, there were 52,029 people, 21,062 households, and 13,395 families residing in the city. The population density was 1,624.8 people per square mile (627.4/km²). There were 22,507 housing units at an average density of 702.9 per square mile (271.4/km²). The racial makeup of the city was 93.98% White, 0.28% African American, 0.79% Native American, 1.00% Asian, 0.08% Pacific Islander, 1.75% from other races, and 2.12% from two or more races. Hispanics or Latinos of any race were 4.61% of the population. There were 21,062 households, out of which 31.9% had children under the age of 18 living with them, 50.2% were married couples living together, 9.7% had a female householder with no husband present, and 36.4% were non-families. 26.1% of all households were made up of individuals, and 8.6% had someone living alone who was 65 years of age or older. The average household size was 2.42, and the average family size was 2.92. The age distribution was 24.5% under the age of 18, 10.2% from 18 to 24, 31.1% from 25 to 44, 21.9% from 45 to 64, and 12.4% who were 65 years of age or older. The median age was 35 years. For every 100 females, there were 97.1 males. For every 100 females age 18 and over, there were 95.6 males. The median income for a household in the city was $40,857, and in 2006 the median income for a family of four is $58,800. Males had a median income of $33,377 versus $25,094 for females. The per capita income for the city was $21,624. About 6.9% of families and 10.5% of the population were below the poverty line, including 13.8% of those under age 18 and 5.8% of those age 65 or over. Tourism is one of Bend's largest sectors. The Mount Bachelor ski resort brings in tourists from all over Oregon, Washington, and California. The nearby Cascade Lakes are also a large draw for tourists. Recreational activities include downhill and cross country skiing, hiking, biking, rafting, golfing, camping, fishing, picnicking, rock climbing, and general sightseeing. Transient room tax revenues through the first quarter of fiscal year 2015 equaled $2,221,610. The transient room tax is used in partnership with Visit Bend and the Bend Economic Development Advisory Board to convert visitors to Bend into residents and business owners. In 2011, Visit Bend reported that families are the largest demographic that visit Bend (35%), while couples with no children make up the second largest portion (24%) of visitors to the city During the same year, tourism generated $570 million and employed 16% of the city's workforce. Bend is also home to the Deschutes Brewery, the 8th largest craft brewery in the nation and the largest of over a dozen microbreweries in the city. Each year the city hosts many events celebrating its brewing culture including: The Bend Oktoberfest, The Little Woody Barrel Aged Brew and Whiskey Fest, Bend Brewfest, and Central Oregon Beer Week. Beer aficionados can also visit many of the breweries along the Bend Ale Trail. Since 2004, Bend has also hosted the one of the top indie film festivals in the nation The Bend Film Festival. In 2005, Bend's economic profile comprised five industry categories: tourism (7,772 jobs); healthcare and social services (6,062 jobs); professional, scientific and technical services (1,893 jobs); wood products manufacturing (1,798 jobs); and recreation and transportation equipment (1,065 jobs). Much of Bend's rapid growth in recent years is also due to its attraction as a retirement destination. The rapid population growth has fostered organizations such as Central Oregon Landwatch and Oregon Solutions. According to the U.S. Department of Commerce's Bureau of Economic Analysis, in 2005 construction and real estate accounted for 17.3 percent of all jobs in the Bend metropolitan statistical area (MSA), which constitutes all of Deschutes County. This figure is about 70 percent more than the proportion of construction and real estate jobs in the Oregon and national economies. However, construction activity in Bend appears to be slowing - the number of building permit applications received by the Bend City Building Division fell from 826 in August 2006 to 533 in August 2007, a 35 percent decrease. A large influx of new residents drawn by Bend's lifestyle amenities, along with the low interest rates and easy lending that fostered a national housing boom in 2001−05, resulted in increased activity in Bend's construction and real estate sectors and have caused the rate of home price appreciation in Bend to grow substantially during that period. Median home prices in the Bend MSA increased by over 80% in the 2001−05 period. In June 2006, Money magazine named the Bend MSA the fifth most overpriced real estate market in the United States. By September 2006, the Bend metro area ranked second in the list of most overpriced housing markets, and in June 2007 it was named the most overpriced housing market in America. The 2008−09 housing downturn had a strong effect on Bend's housing and economic situation. According to the Seattle Times, single-family home prices dropped more than 40 percent from a peak of $396,000 in May 2007 to $221,000 in March 2009. Additional signs of the housing downturn include an April 2009 Deschutes county unemployment rate of 12.6 percent and in a tri-county area of Deschutes, Crook and Jefferson counties a 66 percent rise in homelessness from 2006 to 2,237. In May 2010 the Federal Housing and Finance Agency released a report in which Bend had the largest price drop in the country, 23 percent, from first quarter of 2009 to the first quarter of 2010. Bend is home to the Bend Elks of the West Coast Collegiate Baseball League. The Elks play at historic Vince Genna Stadium. Bend is also the home of the Central Oregon Hotshots of the International Basketball League. The Central Oregon Steelheaders, continually one of the top teams in the NW conference of the Premier Arena Soccer League (PASL), play at the Central Oregon Indoor Sports Center in Bend. Bend is the home of the professional cross-country ski team XC Oregon, which competes in races locally, regionally, nationally and internationally. Bend recently has had success in landing major sporting events such as the 2008 and 2009 USA Winter Triathlon National Championships, the 2008 and 2009 XTERRA Trail Running National Championships, and the 2009 and 2010 United States National Cyclo-cross Championships as well as the 2009 and 2010 USA Cycling Elite Road National Championships. A popular spot for cycling, Bend has over 300 miles (480 km) of mountain bike trails and is the home to the Cascade Cycling Classic, the nation's longest running stage race for road bicycle racing. Bend was recently named the top mountain bike city in Mountain Bike Action magazine. Bend features the Bend Roughriders RFC, a men's division 3 Rugby Football Club. Bend's Lava City Roller Dolls became a member of the Women's Flat Track Derby Association in April, 2009. Bend's Pole Pedal Paddle is one of the Pacific Northwest's premier athletic events. It is a relay race held each spring with six legs that include alpine skiing/snowboarding, cross-country skiing, biking, running, canoeing/kayaking and sprinting. Bend is also home to the Deschutes County Rocks Boxing Team, a USA Boxing Program ran by Level III USA Boxing Coach Richard Miller who is also the Golden Gloves & Silver Gloves President. February of each year Coach Miller Hosts the Oregon State Golden Gloves Boxing Championship at Eagle Crest resort a two-day event that highlights the best Olympic bound boxers in the Northwest while bringing hundreds of Boxing fans to the area. The Program is non profit and raises money for youth in the community. Running is also a popular sport in Bend. 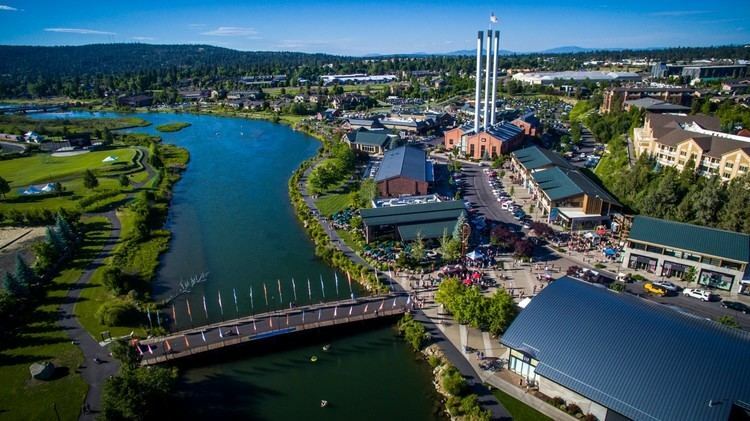 Bend is home to the Cascade Lakes Relay, Bend Beer Chase, Haulin' Aspen Trail Marathon, XTERRA Trail Running National Championships, and the Pilot Butte Challenge. The Cascade Lakes Relay is the largest sporting event in Central Oregon with over 3000 participants each year. One of the largest running clubs in Bend is CORK (central Oregon running klub). In 2006 Bend was named the best trail running city by Outside magazine, because of 51 miles (82 km) of in-town trails. Runners also enjoy parks such as Shevlin, Tumalo Falls, and Deschutes river trail. With the opening of the Bend Pavilion ice rink in 2015, Bend established its first USA Hockey sanctioned amateur ice hockey program, the Bend Rapids. The Rapids field 4 different teams in the 10u, 12u, 14u and high school divisions. In January the Pavilion hosts the Cascade Invitational Hockey tournament. The 3-day tournament features amateur hockey teams from Washington and Oregon. The Bend area is served by Bend–La Pine School District. There are four high schools (Bend, Marshall, Mountain View, and Summit), five middle schools, (Cascade, High Desert, Pilot Butte, Pacific Crest and Sky View), 12 elementary schools, and four magnet schools and one charter school, Bend International School. There are several private schools within the area as well, including Cascades Academy of Central Oregon, Seven Peaks, Waldorf School of Bend, St. Francis of Assisi, Morning Star Christian, and Trinity Lutheran School. Central Oregon Community College (COCC) and the OSU-Cascades Campus of Oregon State University (OSU) serve the community with both two- and four-year programs. KTVZ 21 (NBC) - The region's first broadcast TV station (launched in 1977). KFXO-CD 39 (FOX) - On April 17, 2006, the station launched a local news broadcast. The station later was purchased by KTVZ's parent firm, News-Press and Gazette Co.
KOHD 51 (ABC) - Chambers Communications (Eugene, Oregon) recently purchased a broadcast license for the market and began its local newscasts in the fall of 2007. KBNZ-LD 7 (CBS) - Zolo Media, parent company of Bend Broadband, has purchased KBNZ. KOIN-TV Portland's news is offered with no local cut ins. NTVZ-CW (CW). KTVZ (DT2). Broadcast by NPG of Oregon, The CW carries popular entertainment programming. First local on-air broadcast was September 2006. KQRE-TM (Telemundo). Subchannel of KFXO-CD. Spanish language television broadcast by NPG of Oregon since 2007. COTV 11 - Carries RSN (Resort Sports Network), local events (parades, city council meetings, candidate forums). In addition, COTV airs local sports, including the Central Oregon Hotshots, Bend Elks, and local high school teams. KRCO 690 AM - Classic Country format. KCOE 940 AM - Bend Radio Group airs sports programming from ESPN Radio. KBND 1110 AM - News Talk Information format. KBNW 1340 AM - News Talk Information format. KLBR 88.1 FM - National Public Radio and locally produced radio shows from Lane Community College. KLBR is a simulcast of KLCC (FM) in Eugene, Oregon. KWRX 98.9 FM - non-commercial classical music radio station broadcasting to the Bend, Oregon area. KWRX is a simulcast of KWAX in Eugene, Oregon. KPOV-FM 88.9 FM - Low-power community radio station owned by the Women's Civic Improvement League. KVLB 90.5 FM - Contemporary Christian format K-LOVE. KRXF 92.9 FM - Bend Radio Group commercial modern rock music radio station in Sunriver, Oregon, with a slogan of "Local. Independent"
KXIX 94.1 FM - Bend Radio Group commercial Top 40 music. KLTW-FM 95.7 FM - Adult Contemporary format. KNLR 97.5 FM - Contemporary Christian format. KTWS 98.3 FM - Classic rock format. KMTK 99.7 FM - broadcasts a country music format. KLRR 101.7 FM - commercial adult album alternative music radio station in Redmond, Oregon, broadcasting to the Bend, Oregon area. KSJJ 102.9 FM - Bend Radio Group country music format. Arbitron rated #1 station in the Bend, Oregon market. KWPK-FM 104.1 FM - Hot Adult Contemporary format. KNLX 104.9 FM - Spanish Religious format. KQAK 105.7 FM - Classic Hits format. KWXS 107.7 FM - CHR-Rhythmic format. The nearest commercial airport is Roberts Field (RDM) in Redmond, 18 miles (29 km) north. Horizon Airlines, SkyWest Airlines and American Airlines (flying as United Express, Delta Connection and American Eagle) provide direct service to Portland, Seattle, Salt Lake City, and San Francisco. The U.S. Forest Service operates an air base and training center for firefighting, and Butler Aircraft, a fixed-base operator, flies DC-4 aircraft for firefighting efforts. Bend Municipal Airport (KBDN) is located 5 miles (8.0 km) northeast of the city and serves general aviation. Several significant general aviation companies are based at Bend Airport, including Precise Flight, which develops oxygen systems, speed brakes, landing lights and other modifications for general aviation aircraft, and Epic Aircraft. The Bend Hawthorne Transit Center is a hub for the Cascades East Transit center with connections to intercity bus services including the HighDesert Point, Eastern Point, and the Central Oregon Breeze. Bend was previously the only metropolitan area west of the Mississippi River without a public bus system. A measure that would have created a transit district was on the November 2004 ballot, but was defeated 53 to 41 percent. As of August 2006, however, funding was acquired and the B.A.T. (Bend Area Transit) bus service began on a limited basis. Buses have been running since September 27, 2006. During the Summer of 2007, not a single bus purchased was in operation (though several were due to weak A/C systems) and litigation was underway. Bend lies at the intersection of U.S. Route 20 and U.S. Route 97. The latter runs on an expressway alignment through the city known as the Bend Parkway; a business route for US 97 runs along 3rd Street. The city is also served by the Century Drive Highway No. 372 which provides access to Mount Bachelor. A BNSF mainline runs north-south through the city; there are numerous spurs off of the mainline which serve industrial rail customers. The closest Amtrak service is in the town of Chemult, approximately 65 miles (105 km) to the south; this station is served by the Coast Starlight route.